Western Australian (WA) researchers are trialling technology which offers an innovative way to control the destructive Mediterranean fruit fly. 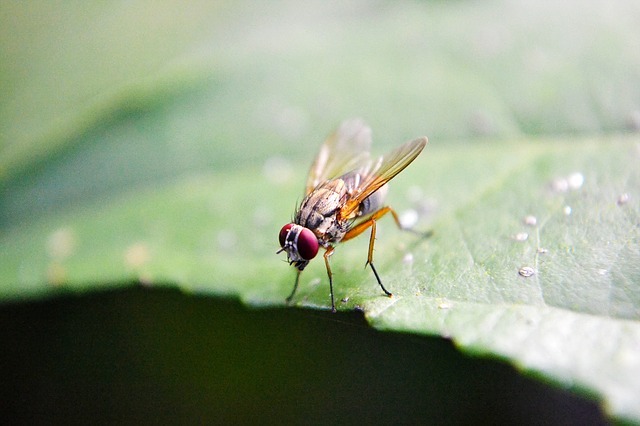 Horticulture Innovation Australia along with the Department of Agriculture and Food, Western Australia (DAFWA) are funding the research after years of serious troubles with fruit fly in WA. Currently growers use a range of methods such as pesticides, baiting, orchard hygiene and sterile insect technique (STI) to fight the fly. Researchers are now instead looking at introducing a genetically modified (GM) species of fruit fly which have a ‘self-limiting’ gene that causes female offspring to die before they can reproduce and sting fruit. A colour marker is used to track and trace the GM insects in the environment. The trial aims to determine whether the purpose-bred fruit-flies can be reared successfully and cost-effectively in a controlled glasshouse laboratory environment. It will also test if the fruit flies can successfully compete with regular fruit flies. Originally developed at the University of Oxford in the United Kingdom, the trial flies have been brought into Australia from the UK. Fruit fly activity is said to cost the WA horticulture industry millions of dollars annually in lost product and control costs. News of the trial comes just after the Food and Drug Administration (FDA) in the United States granted permission late last week for a company to sell genetically modified salmon.